Lenczner Slaght strengthens its legal research expertise with the addition of another talented associate. The firm is excited to welcome Jessica Starck as a new research associate. 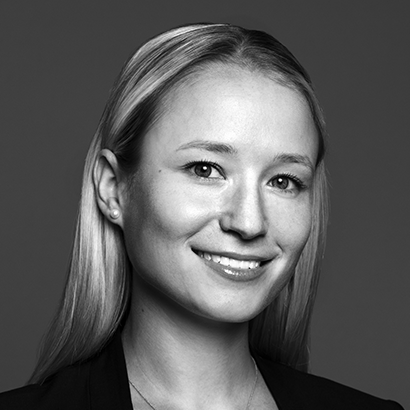 Jessica will play a significant role in deconstructing complex legal issues and providing creative solutions. Her clear and concise writing style will assist in crafting legal argument that simplifies even the most complex issues for clients and courts. Jessica joins the firm after practicing for almost two years at a major national law firm, where she maintained a general commercial litigation practice, with a focus on securities litigation and class actions. While in law school, Jessica was a managing editor for the McGill Journal of Law and Health and volunteered with the McGill Legal Information Clinic. Jessica also completed a summer internship at Her Justice, a non-profit legal organization in New York City providing free legal advice and information to victims of domestic violence.